Get the pitchforks ready as we're about to drop an unpopular opinion - refurbished phones are a great way to get a new phone. Before your mind wanders to images of cracked screens and weird marks all over the phone, let us tell you about how going refurb could get you the best Samsung Galaxy S9 deal on the market. 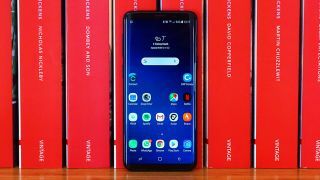 After a pretty sudden and expensive price rise on the Samsung Galaxy S9, finding an affordable offer on the once relatively budget device has become a challenge to say the least. That's where this refurbished offer comes in. Costing just £24 a month and a quick £15 upfront payment (with our 10OFF code) this offer undercuts its nearest competition by a massive £174. So how is it so much cheaper? Well because of that taboo word - refurbished. But you really don't have to worry. This device comes from Mobiles.co.uk, a reliable retailer which offers refurbished phone deals with 12 months warranty. Most of the phones they sell refurbished have simply been bought and then returned within the first month. Any that were damaged or faulty have been brought back up to the best state possible, meaning a perfectly working, brand new Samsung Galaxy S9 deal. If you move past the refurbished part of this offer, you have a Samsung Galaxy S9 deal to out-do all the rest. You pay barely anything upfront and a monthly cost below the rest of the competition. You even get a decent 5GB of data to go with it! The nearest non-refurb offer to this will set you back an additional £174, safe to say refurb might be the way with the S9.